As the electoral campaign has started to heat up in Greece, the focus of domestic and international attention has increasingly been on various policy proposals from SYRIZA, the main opposition party in the outgoing parliament and frontrunner in the opinion polls. Speculation about a ‘Grexit’ reached boiling point, with irresponsible comments from home and abroad, in Athens as much as in Brussels and Berlin. The hysteria witnessed in recent days was embarrassing to say the least and has reputational costs for the international standing of the country, irrespective of who will be governing after the January 25 elections. Furthermore, such speculation risks creating a self-fulfilling prophecy, for example concerning a silent bank run by anxious citizens and confused corporate entities in Greece. The deposit outflows registered in December 2014 were but a precursor to larger developments that could take hold in the course of this month. It is not a coincidence that the European Central Bank in Frankfurt put liquidity issues in the real economy and refinancing options for Greek banks on its agenda during meetings this week. Instead of further contributing to such speculative guesswork and fuelling scaremongering in Greece, attention should rather be drawn to a number of very practical administrative and economic issues that will require immediate attention for any Greek government, including the possibility of a SYRIZA-led coalition. Part of the challenge in deciphering SYRIZA’s economic policy proposals rests in the fact that Greek parties traditionally do not publish detailed electoral manifestos. What appears rather unusual for outside observers, given that such programmatic platforms can serve as roadmaps for the electorate and subsequent coalition negotiations, does not feature high on the to-do list of Greek parties. Instead, they are currently scrambling to finalise their candidate lists, at times engaging in bargain hunting to attract individuals that only recently ran on the ticket of a competing political party. Informing the electorate and a host of international (media) representatives through the crafting of a detailed policy agenda is, rather, organised through interviews, public speeches, breakfast television talk shows and publicity spots. Voter mobilisation through social media is just starting to make its mark in Greece this time around. 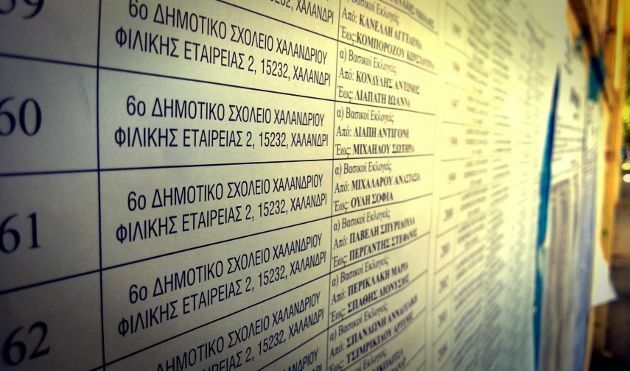 However, one of the most important constituencies to be addressed in these elections, namely first-time voters who turn 18 in the course of 2015 and thus have the right to vote according to Greek law, risk in fact being denied this basic right. More specifically, roughly 100,000 virgin voters have not yet been added to electoral registers by the Interior Ministry. For citizens who are prevented from voting in their home constituency, it remains impossible in Greece to cast a postal ballot. Equally, the sizeable Greek diaspora in Europe, Australia, Canada and the United States still cannot vote in an embassy or consulate. These long-standing deficits in the administration of elections in Greece and for Greek citizens are well established and nothing has been done to rectify them. But the scandalous incompetence of not being able to register first-time voters on time for the January 25 ballot is unprecedented. Not only do these young citizens risk losing faith in the most important commodity that a democracy has to offer: trust in the system. Moreover, given how polarized this electoral campaign is developing and how close the result could turn out to be, the eventuality of failing to have an additional 100,000 citizens voting could impact on the parties’ representation in Parliament and the subsequent coalition arithmetic. How would a SYRIZA-led coalition government deal with foreign investment initiatives? More specifically, what strategic priorities can be identified vis-à-vis the single largest foreign investor in the Greek real economy in the past decade, i.e. China? Chinese financial institutions (for example, the China Development Bank and Export-Import Bank of China) and Cosco’s intention to expand its container terminal investment in the port of Piraeus have committed more than four billion euros in loan agreements and investments. The core of these bilateral activities rests in the maritime sector, but is rapidly expanding beyond shipping to include land transport logistics and renewable energy generation. There are also domestic investment challenges that could quickly become hot button issues for SYRIZA to address. How would a SYRIZA-led government confront the rapid growth of unpaid electricity bills, which exceeded two billion euros at the end of 2014? This not only concerns unpaid household bills, which make up the majority of arrears. The corporate consumers and the broader state sector are equally offenders, with the effect that state-owned PPC is itself unable to fulfil its payment obligations to suppliers, e.g. the power grid operator ADMIE and the electricity market operator LAGIE. In consequence, how would SYRIZA address cash flow and liquidity problems at PPC, which are increasingly being passed on down the entire power generation and electricity distribution market chain? From where would a SYRIZA Development Minister raise the necessary additional resources to stem the immediate cash flow problems? The credit crunch affecting Greece’s real economy is particularly acute in the small and medium-sized enterprise sector. One institutional innovation focused on overcoming such liquidity constraints is the recent establishment of the Institution for Growth (IfG). The German government (through its financing institution KfW), the European Investment Bank, the Greek Onassis Foundation and the Greek government, through the mobilisation of structural funds, have all committed resources to kick start the IfG. How would a SYRIZA-led government deal with the IfG? Would it review the institution’s term of references, including the fact that it is registered under international law in Luxembourg? What about the funding agreements that have so far been reached between the IfG and participating Greek banks? Would these be subject to review? Since SYRIZA’s economic agenda is still a work in progress, preparing for government may turn out to be the easier part of these challenges. Finding workable solutions and hard-fought compromises will require an entirely different set of approaches to policy making from SYRIZA. The misplaced focus on Grexit speculation and fear mongering turns attention away from pressing issues whose potential solutions would inform voters much better about the bread and butter issues at the heart of this electoral campaign. I wonder why author Jens Bastian adresses such questions only at Syriza and not also to the other parties, which imho are not more clear either. Look, all pre-election manifestos are vague and inconclusive. The bottom line is that for the last 3 years Greece has followed some BS German policies about pseudo-competitiveness and reforms designed for game delay. We should have known better about this mess. We should have known that Germans who have no clue or idea about real economics, other than their destructive obsession with exports, were the least capable or knowledgeable to provide a lasting solution. Yet we allowed the German propaganda to infiltrate our politics very well knowing that Berlin is a destructive merchant of deflation and misery all over the world. Syriza is the least capable and least knowledgeable political force in Greece, yet here it is a 100% Merkel creation. We are being squeezed on both ends by incredible German nonsense. One one hand you have the idiots who govern Greece at the moment by their Berlin Bible and on the other an amateurish, untested force which is the direct result of Berlin's destructive policies. And the incredibly funny thing is that they are asking us to choose which of the two German policies we want: the subservient or the reactionary? Neither, is the right answer. We just want our country back and the eurozone malexperiment to die a cruel and irreversible death.